Have fun, get fit and learn a practical skill. Students are set achievable and realistic goals by demonstrating to themselves and others that they have the ability to learn and master the skills of Tae Kwon Do. Pay as you go, nothing to lock in. We teach you the basics right up to the more complex moves as your confidence and skills grow. We are one of the largest clubs, so if ever you move, chances are we’ll have a club near you. 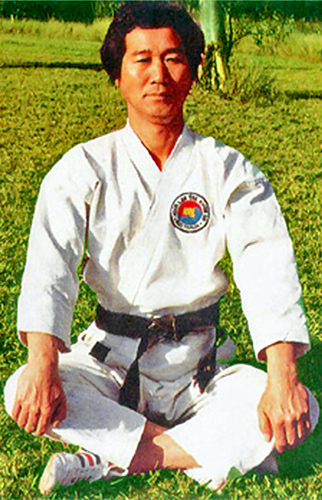 Master Moon Lee arrived in Australia from Korea in 1974 to establish the Moon Lee Tae Kwon Do Association. In its 35 year history it has grown to well over 4000 members and is one of the longest running Tae Kwon Do Clubs in Australia. Clubs now span the East Coast of Australia including Townsville, Sunshine Coast, Gold Coasts, Brisbane, Canberra and Melbourne. Master Lee is currently a 9th Dan Black Belt and is one of the highest ranked Masters in Australia. Moon Lee Tae Kwon Do is open to all ages, all fitness levels and is a great activity for the whole family. With clubs situtated across South-East Queensland there’s sure to be one near you. To join your nearest club follow our locations link to find your local instructor. Get the latest club news, special offers and more in your inbox!